Last edited by Wamo on April 7th, 2012, 1:45 am, edited 2 times in total. Thanks for all the updates on the newest wild pets! Quintessence wrote: Thanks for all the updates on the newest wild pets! I thought that maybe the ghost cat and mouse in Karin'var Village could be interacted with if we were in spirit form so I killed myself to test it. No luck, but it was worth a try! Rhapture wrote: I thought that maybe the ghost cat and mouse in Karin'var Village could be interacted with if we were in spirit form so I killed myself to test it. No luck, but it was worth a try! Makes me think of the old quest for the shadowforge key in BRD that you could only start when you were dead. Also, I've seen the fel flames in areas outside the flame pits - the lava pools between Sanctum of the Sun and Warden's Cage (off the top of my head) was one of them. I'll have to triple-check to see where all the little blighters are. You can't track em, but they still added new pets! 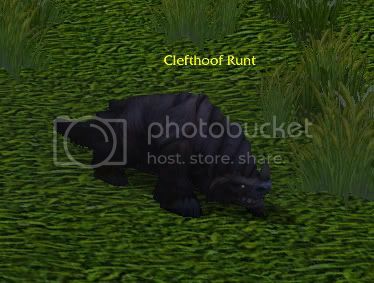 Clefthoof Runt now has a model. It's just a small Clefthoof! 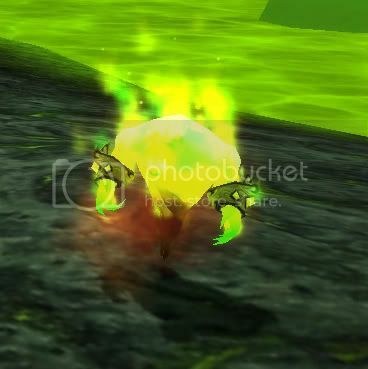 Fel Flame now has a model, it's a Green Fire Elemental. 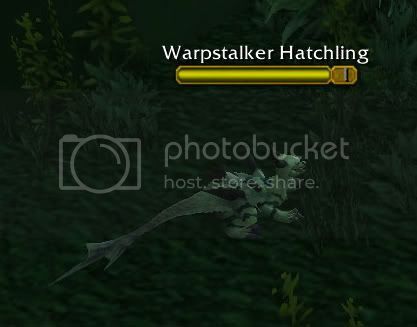 Warpstalker Hatchling in Terokar Forest. 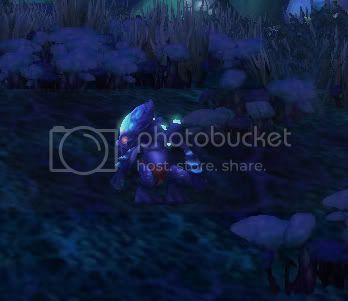 Skittering Cavern Crawler found in the cave between Zangarmarsh and Blade's Edge, where the Cavern Crawler mobs are located! Now where are the Talbuk babies? Went through all outland today and this is what I got. There are no pets here. Doobjanka wrote: Skittering Cavern Crawler found in the cave between Zangarmarsh and Blade's Edge, where the Cavern Crawler mobs are located! I found the Skittering Cavern Crawlers all around BEM today. I've been finding Widow Hatchling in a lot of random places as adds. Not all of them actually look like Widow Hatchlings, so I don't think that's what they're supposed to be. So far I have only found Flayer Younglings on the ridge betwen Terrokar and HFP. I've only seen one or two there at a time, though; maybe a slow spawn rate.